A modern sterling silver ring with a lovely cabochon Turquoise stone. Unique Turquoise necklace in 14K yellow gold. 14K yellow gold dangle earrings with Turquoise. 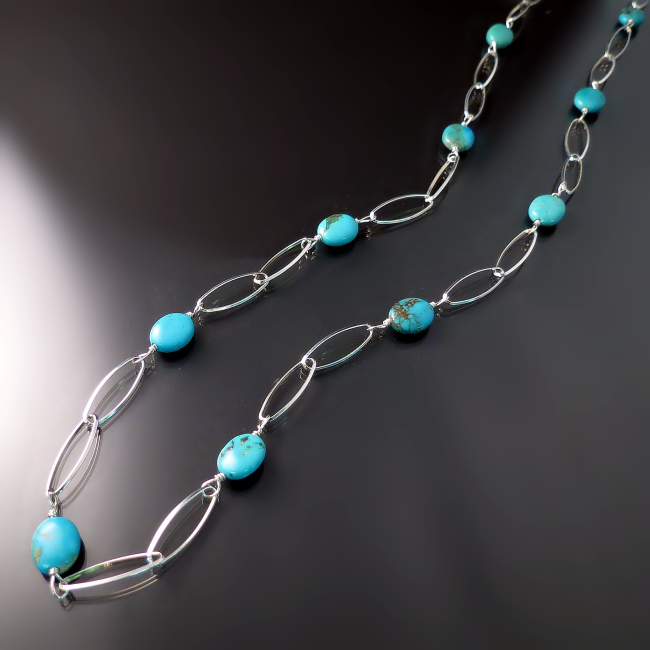 Long Turquoise necklace. I used elegant long oval sterling silver links for a light and airy summer feel. Modern Turquoise earrings with a striking design in sterling silver. Turquoise ring in sterling silver. Chunky modern ring design. I made this unique Turquoise pendant with Labradorite stones for a boho chic look. Handmade sterling silver bracelet with gemstones. I combined Turquoise, citrine, quartz, and Swarovski crystal in this stunning designer bracelet. Long dangle Turquoise earrings with prismatic Swarovski crystal drops for a combination of vibrant colour and sparkle. Chunky Turquoise necklace / choker / collar with antiqued silver beads. Turquoise and black Swarovski crystal dangle earrings. Big Turquoise ring. Sterling silver Bali style design gives a vintage look. I combined Turquoise and white Freshwater pearls for these pretty little drop earrings. 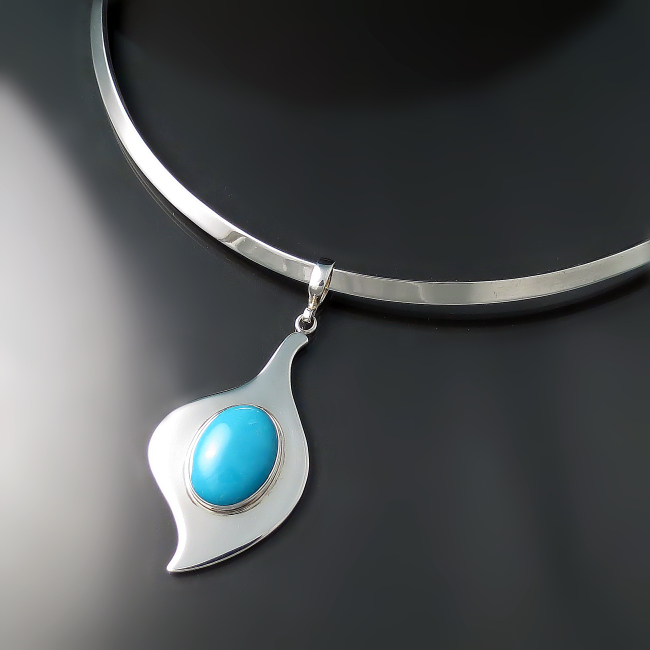 Featured collection of Turquoise jewelry ranges in price from $55 to $865. All items available at Hamilton Jeweler Zoran Designs. We ship within Canada, to the US, UK, Australia and some other international destinations.